Located in the representative sea port of Sant Feliu de Guíxols, with stunning views of the entire bay. It has a restaurant area and a nice chill out area where you can enjoy a cocktail before or after dinner. The gastronomic proposal is based on the experience of Nomo restaurants, with a representation of their best and most recent creations of the executive chef Naoyuki Haginoya. The business career of Grupo Nomo started with the motivation of a family of young entrepreneurs, who decided in 2007 to create a new concept of Japanese restaurants: they opened the first Nomo Restaurant; a fresh and innovative concept; different from what existed so far. The Group is currently a benchmark in the world of Japanese cuisine. Its maximum is to offer the best of Japanese food culture but using the best products of our spanish land. 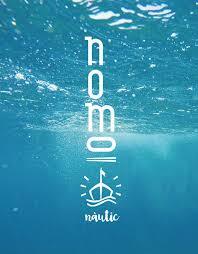 At the moment it has three restaurants in Barcelona: NOMO and KUO, one in “San Sebastian” Lighthouse: FAR NOMO in the Costa Brava, and a service of takeaway & delivery: NOMOMOTO. Naoyuki Haginoya is the executive and creative chef of the restaurants. He was born in a village near Tokyo, where he discovered his passion for food. In Spain he claims to have found the right balance, as he can mix Japanese culinary expertise with the best products of our land. Its maximum is to use the best product, without masking them, surprising the customer with the natural taste of food. Grupo Nomo is also known for its social collaboration with several institutions and charities, such as the San Juan de Dios Children’s Hospital. It also has a sustainability policy that is reflected in his letter products as sustainable fishing, or the use of a packaging line at this take away 100% biodegradable.